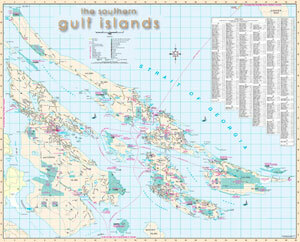 Southern Gulf Island Wall Map 35"x 43"
The Southern Gulf Islands Wall Map covers Galiano, Saltspring, Saturna, Mayne, North and South Pender Islands. The map displays in detail all streets and related features. 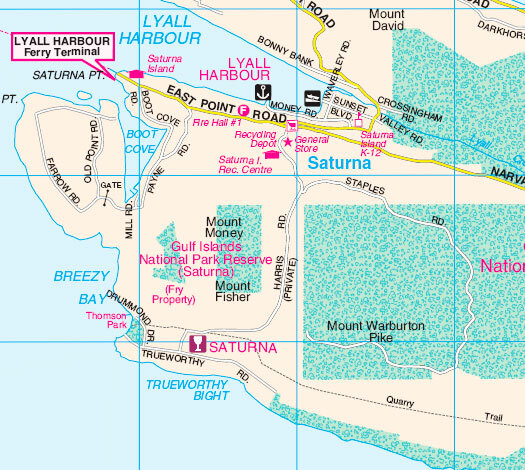 It includes Cycling Routes, Marinas, Boat Launches, RV Sites, Hiking Trails, as well as locations for Schools - Elementary, Secondary and Private, Hospitals, Police Stations, Fire Halls, Libraries, Shopping Centres, Community / Recreation Centres, Points of Interest and Visitor Centres.